Addison Disease - What You Need To Know? Do you suspect your dog may be suffering from Addison disease? Does your faithful pet exhibit signs of malaise, a decrease in appetite, and weight loss? When your dog becomes sick or starts to act differently than usual, it can be difficult to know what to do or how to ease the situation. 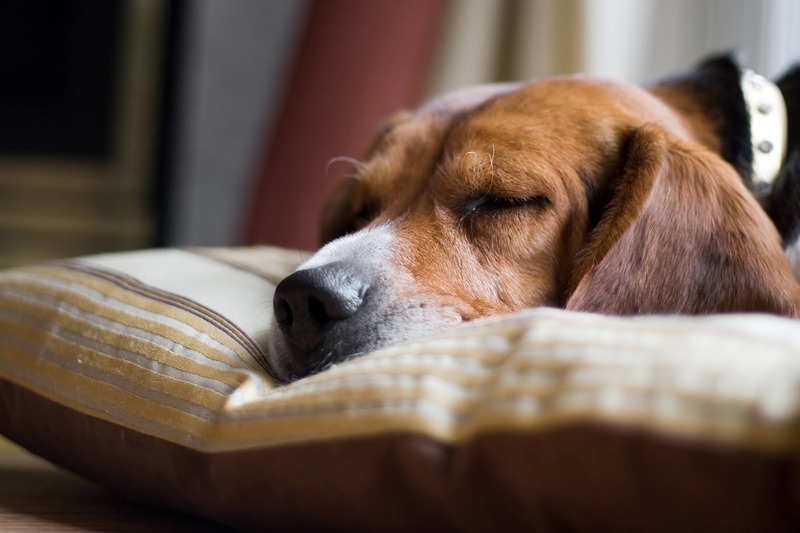 If you think your dog could be ill with Addison disease, it is important first to recognize what signs and symptoms are associated with this disorder, the factors which lead to its development, and what your options are. We have put together a thorough overview of this illness to equip you with the tools you need to get your dog’s treatment moving in the right direction. Also known as hypoadrenocorticism, Addison disease is the dysfunction of two key hormones known as mineralocorticoids and glucocorticoids, which are released by the adrenal glands. Located near the kidneys, if your dog’s adrenal glands start releasing irregular amounts of these hormones, major health difficulties can arise. This includes the onset of this particular disease. Either an increase or decrease in the function of these hormones is very serious and must be attended to immediately. In the case of Addison disease specifically, these hormones start to be released in far lower quantities than usual, resulting in myriad symptoms including dehydration, weakness, low blood pressure, weight loss, and vomiting. The disease is not inherently common in dogs, but when experienced, usually shows up in younger and middle-aged ones. 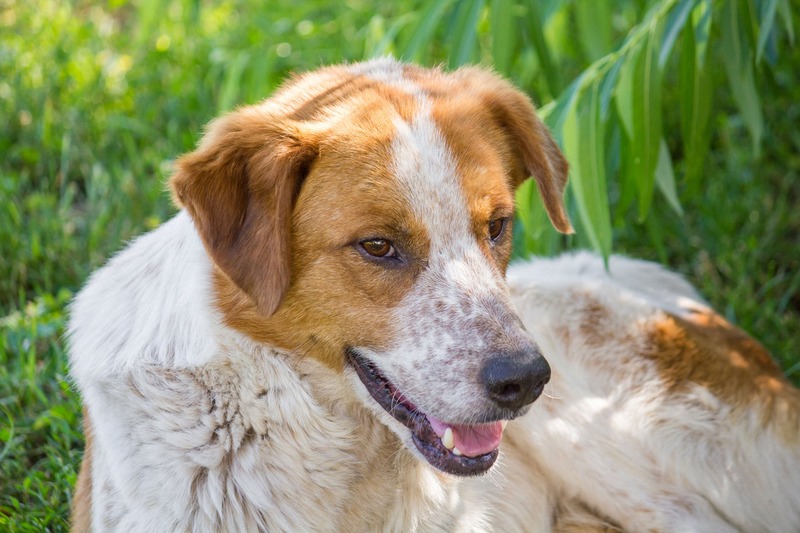 It is also seen more often in female dogs and certain breeds such as bearded collies, Portuguese water dogs, standard poodles, West Highland white terriers, wheaten terries, and rottweilers. Symptoms of Addison disease vary based on the length of time your dog has had the disorder. If the disease has reached a life-threatening stage, the symptoms will reveal themselves in severe bouts. Signs that your dog may be suffering from this disease include low appetite, lethargy, weight loss, diarrhea, heightened urination frequency, shaking, dehydration, and a weak pulse. Other symptoms include depression, collapse, low body temperature, blood in excrement, hair loss, and acute abdominal discomfort. One of the chief causes of Addison disease in dogs is a deficit of the adrenocorticotropic hormone. When this hormone is not released in sufficient amounts by the body or the adrenal glands do not release hormones to respond to it, the disease is prime for development. The causes of Addison disease can appear vague at times as different contributing factors can work together to build the presence of this disorder. At times, the immune system can become so damaged that it hinders the full function of the adrenal glands, rendering them unable to release the proper hormones to maintain an optimal balance. Another common cause of Addison disease is the development of a metastatic tumor. If a tumor begins to grow and spread within the adrenal glands, inhibiting their function and ability to release mineralocorticoids and glucocorticoids, the disorder is easily triggered and beings to overwhelm the body. The final common cause of this disease is when your dog’s body goes into withdrawal after being weaned too quickly off a glucocorticoid drug like prednisone. Perhaps your dog was taking the drug and began to see rapid improvement or, had suffered side effects. Whatever the case may be, it is crucial to consult with a veterinarian before taking your dog off of this drug or a similar one, or terrible consequences like Addison disease can occur. If a medication like prednisone is stopped all at once and the adrenal glands are nonfunctioning, they do not have the time to work their way back to becoming active again. This can result in underproduction of the necessary adrenal hormones which leads directly to this disorder. 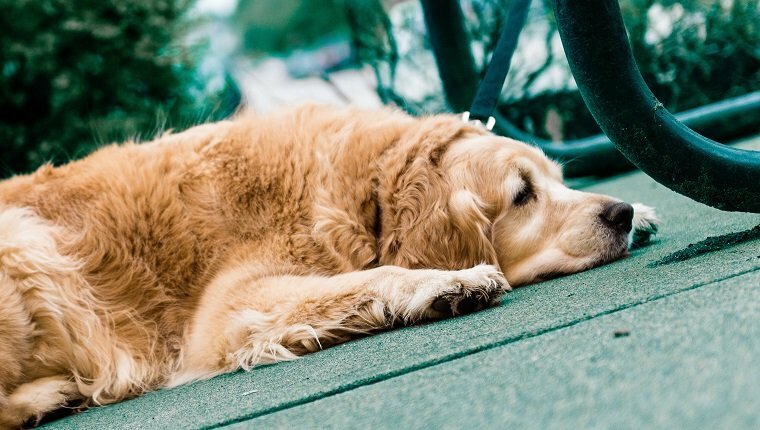 One of the most important elements you need to be aware of about Addison disease in dogs are the steps necessary to reach a comprehensive diagnosis. To begin with, when visiting a veterinarian, you will need to provide him or her with a complete health history for your dog and any symptoms it has been experiencing. The veterinarian will typically complete a full physical checkup of your dog, and run various tests including an overall blood count, urinalysis, and biochemistry profile. The blood count could show that your dog is anemic or has an abnormally high presence of white blood cells in its overall count. The biochemistry tests could show excess potassium and an overproduction of toxic waste in the blood of the urea. Additional results that are typically associated with Addison disease include low sodium and chloride levels, an abnormal amount of calcium and liver enzymes, low blood sugar, and urine with minimal concentration. There is another test which is commonly performed to check for the presence of the adrenocorticotropic hormone, the dysfunction of which leads to this disorder in the first place. By injecting levels of the hormone into your dog to see how the adrenals respond, the veterinarian can assess the situation. If your dog’s adrenals do not display any increase of the hormone even after it is directly injected into the body, the prognosis of Addison disease can be made. X-rays and ultrasounds are also useful methods for detected unusually small adrenals that may not be producing the necessary hormone in the proper amounts. If your dog displays sudden and acute symptoms as a result of this disease, the reaction needs to be treated as an emergency requiring hospitalization and ongoing therapy. In the case of an intense onset of symptoms, there should be zero delay in taking your dog to the hospital to be treated immediately. Any lapse in time can be dangerous and ultimately life-threatening. Treatments for sudden episodes caused by Addison disease vary based on the severity of the disorder and the type of signs your dog may be displaying. For example, if your dog has a lack of bodily fluids, nutrients will be given intravenously to counteract any deficiencies. The key to treating Addison disease is replacing the lack of adrenal hormone production with viable hormone therapies. As such, dogs diagnosed with this disease require ongoing and regular hormone injections for the rest of their lives. After placing your initial focus on taking your dog to receive immediate hospital care for an acute incident caused by Addison disease, you will need to begin the process of managing the disorder. Your first concern is to negate the life-threatening aspect of the disease, after which there is a number of elements involved in maintaining your dog’s overall state of health. Once your dog has recovered from the acute onset of symptoms, receiving necessary hospital treatment and intravenous fluids, the veterinarian will work to prescribe a current dosage that will keep hormone levels balanced. With the diagnosis of Addison disease, the best you can do is to stabilize your dog and counteract the deficiency with consistent hormone treatments. Once a solid dose has been prescribed, it may need to be amended from time to time depending on your dog’s level of activity and other important factors. If your dog travels, is hospitalized again or requires surgery, the hormone dose will probably need to be altered by the veterinarian. One thing to bear in mind is that you should not change either the brand or the amount of the hormone dose your dog is taking. If at any point you think the dosage is off or the type needs to change, consult with the veterinarian. Any necessary adjustments can then be made on his or her direction. Once the first hormone replacements have been administered, you will need to take your dog to see the veterinarian once a week for the first month at a minimum. Depending on the severity of the disease that frequency may need to continue for longer than a month. At those visits, the veterinarian will measure your dog’s hormone levels and make any necessary adjustments to the dosage. After this initial period, hormone injections are typically needed every 3 or 4 weeks. Addison disease also tends to have a domino effect on your dog’s electrolytes, so the veterinarian will check those levels too in order to ensure everything is on track. The good news is that with consistent treatment and hormone therapy, the majority of dogs experience a great improvement and are able to manage the disease well. If your dog has been recently diagnosed with Addison disease or you suspect the presence of the disorder, it can be overwhelming at first as the owner to handle everything that comes with the illness. The disease requires a great deal of responsibility on the part of the owner. You must watch for symptoms, take your pet for immediate hospitalization if an episode strikes, as well as plan and prepare for regular hormone therapy. In addition, there is an expenditure of time, money, and effort required in the process. However, in doing your research, consulting with a veterinarian on a regular basis, and showing love and affection as your pet works through these symptoms, your beloved pooch can be set on the road to recovery in no time at all.